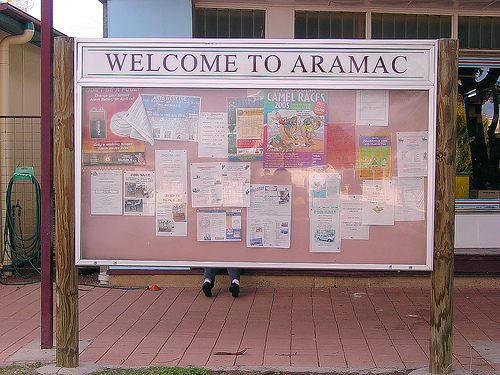 Aramac is a small township in outback Queensland. It is in the middle of some extensive grazing country and it is known for Captain Starlight, aka Harry Redford Cattle Drive. The area was first explored in the 1850s. 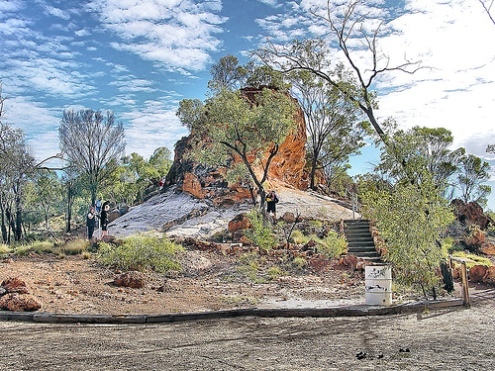 The town was first called Marathon and it was a major outback town until Barcaldine grew larger. There was a tramway between Aramac and Barcaldine, and the tramway museum is till in town, with historical stuff in both indoors and in outdoors displays. But the most obvious thing is a statue of a while bull in the main street. 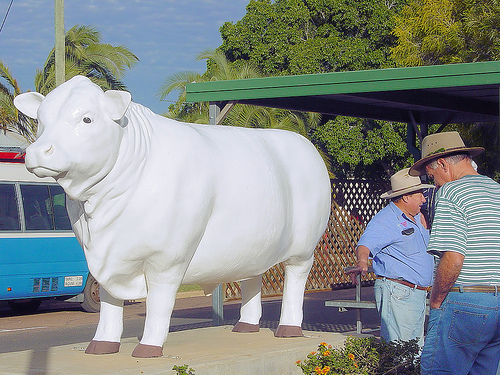 It's a replica of the bull that was stolen by Captain Starlight - Harry Redford - Australia's most famous cattle thief. He was working on a nearby cattle station when he stole a mob of 1000 cattle, and drove them all the way through Australia's central deserts to South Australia - an achievement so great that he was left without punishment. Rolf Boldrewood ’s book Robbery under Arms . In SA he sold the cattle but a white bull was later recognised. Redford later made some other long cattle drives across the continent, was sentenced for stealing horses, and lived on and owned cattle stations until he drowned in a flooded outback creek. 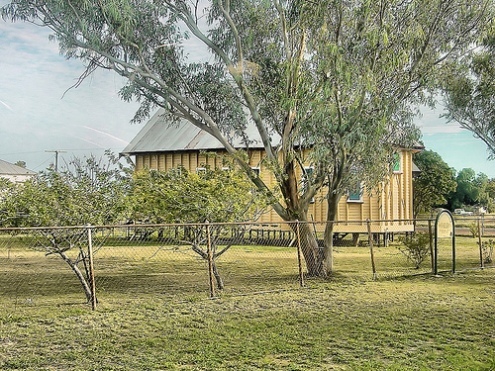 Nowadays there is the annual festival in May-June, Harry Redford Cattle Drive that also includes entertainment, a camp cooking competition and Aramac Races. The town's pub is in the main street, and there is also a council-run camping ground. Outside the town is Grey Rock, and further out is the freshwater Lake Dunn - a good place for fishing and yabbying.